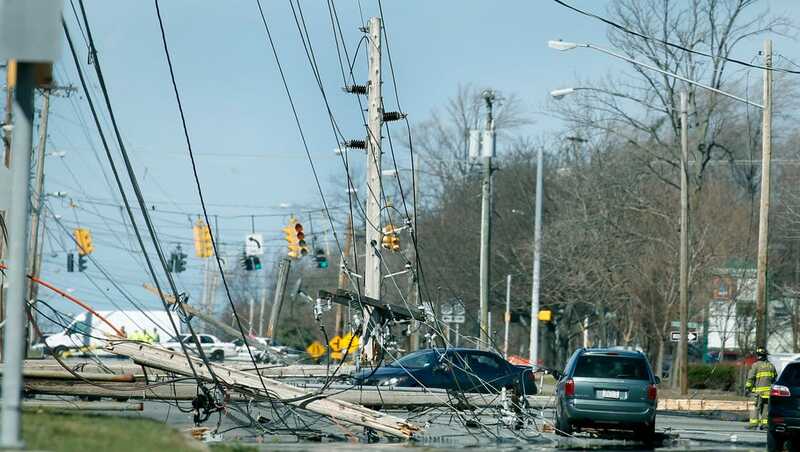 Depending on where you’re from and what news sources you follow, you may or may not have heard that the Upstate New York area was hit hard by a windstorm that set some new records for this area. Hurricane-force winds (81 mph were recorded) battered the area, causing widespread damage to homes, trees, power lines, and countless properties. 150,000 homes were left without power, and now, 24 hours after the storm, many still don’t have power. My apartment complex is one of them, so here I am, writing from my parents’ basement. It’s a nice basement. They have heat and power here. This week, since many people in my area are going to be sifting through their fridges and freezers, deciding what to keep and what to toss, I’m going to do my part to be helpful by making it a little easier to find out what’s safe to keep and what needs to go based on how long the power has been out. The first rule of power outages is this: Always keep the fridge and freezer closed unless it’s absolutely necessary to open them. This keeps whatever cold air is already in there from being replaced with room temperature air, keeping your food chilled longer. Other than that, it all mostly comes down to time. Has the power been out for more than 4 hours? What foods are safe to keep above 40 degrees F for longer than 2 hours? What freezer foods are safe to keep? Armed with this knowledge, you can confidently sort through your fridge/freezer, knowing what to keep and what to toss. That way, you can keep you and your family healthy and safe after the power goes out. Always know where your emergency supplies are (water, food, flashlights, batteries, blankets, candles, and matches), and keep a crank or battery-powered radio on hand so you can stay abreast of weather alerts. Bookmark this page for easy access later, and be sure to share with your friends — you’ll never know when you might need it! Hi , I do believe this is a superior website. I stumbled upon it on Yahoo , I will come back once again.